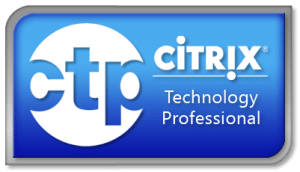 On August 24th, 2011, Citrix released XenApp 6.5, which serves as a comprehensive update to the previous XenApp 6 release. 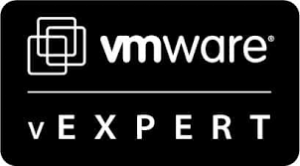 In addition to improved core application virtualization functionality, this release includes enhancements to numerous Platinum Edition component features. 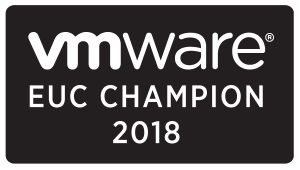 For the purposes of this document, XenApp Platinum Edition is assumed; however, the XenApp feature set is licensed based on specific editions, as well as the Enterprise and Platinum editions of XenDesktop. XenApp 6.5 further refines the installation and configuration process. Migrating to this new XenApp version is necessary due to architectural changes. Mixed farms and direct in-place upgrades from previous versions are not supported; however, Citrix provides the XenApp Migration Center and a PowerShell upgrade script to assist with ensuring a smooth transition. These tools allow migrating farm settings from a source farm as well as automating the XenApp 6 uninstall and XenApp 6.5 install process for member servers, respectively. The Migration Center is explained later in this document. Some of the XenApp features, such as Web Interface, Provisioning services, and Application Streaming, can be upgraded to their respective XenApp 6.5 versions. Details of how to upgrade these components are discussed within this document. This technical guide addresses the installation steps associated with the XenApp 6.5 Platinum feature set. Detailed information regarding planning and installation is available through Citrix eDocs (http://www.citrix.com/edocs). What’s included with XenApp 6.5? Upgrade: Installing a newer version of a feature or release item over an existing version. Migrations are typically preferred from a technical standpoint to avoid potential software conflicts. This document discusses each of the new features and the associated installation steps; however, in all cases, active Subscription Advantage as of July 27, 2011, is required. XenApp features can only be implemented based on availability by edition. XenApp is offered in four editions and feature set entitlement is based on the specific edition licensed. This document discusses new and updated items incorporated into the Platinum feature set. For more information regarding the complete feature set, please see the XenApp Features by Edition matrix at http://www.citrix.com/English/ps2/products/subfeature.asp?contentID=2300381. Note that this matrix is always based on the latest version of XenApp. In addition, XenApp is included with the Enterprise and Platinum Editions of XenDesktop. For example, an organization licensed for the XenDesktop Enterprise or Platinum Edition may choose to present applications hosted on XenApp through XenDesktop virtual desktops. For more information regarding the XenDesktop feature set, please see the XenDesktop Features by Edition matrix at http://www.citrix.com/English/ps2/products/subfeature.asp?contentID=2300383. Note that this matrix is always based on the latest version of XenDesktop. Which Features Should be Implemented? Because there are numerous new features and related components that have been released as part of or in conjunction with XenApp 6.5, administrators and architects should review the functionality of each one in order to determine which ones to implement. Once the appropriate features have been identified, use the steps or references from this guide to implement them. It’s that easy!